So let's say you're a parent or, in my case, an uncle, and you have kids that you want to introduce to comics. If you lived in the 60s all the way to the 80s, this would have an easy answer, since comics were written primarily for kids then. But in this day and age, when comics are mainly written for adults stuck in their childhood, the pickings are very slim. 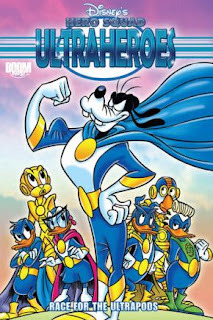 So, without wanting to turn to classic comics (not that you can't), to where does one turn in order to share with a loved young one the joys of sequential art? Let's check out what the publishers offer these days. I really don't think that it's a good idea to talk down to your audience; I mean, yes, you have to realize they're kids, but at the same time, it's like if you keep talking to a kid in baby talk - if you keep doing it, they'll never really learn. 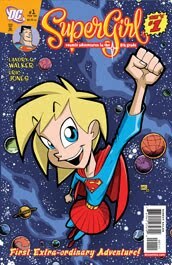 I don't know if Supergirl: Adventures in the 8th Grade is like that, but the title alone pretty much screams out, "Look! See? Eighth grade? You kids'll love this!" When it comes to comics, kids don't like being "targeted" as a specialized demographic any more than girls do. That having been said, DC Kids! does put out a lot of pretty okay products out there. I think The Superfriends is really fun. Each story is divided into chapters, which have cliffhangers, most of which try to get the reader involved. And there are games. So at least on that end, the kid's using his brains. The problem with licensed properties is that it's a double-edged sword. Sure, it may get kids to buy the product, thinking "Great! That's the Batman on TV!" But then what? Are they going to keep buying the comic every month? I don't think so - from what I've seen, licensed properties tend to sell low due to the fact that, hey, they have this on TV. 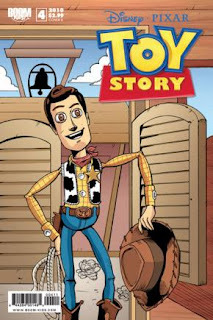 Why should you buy something where the characters can't move or actually talk? It worked well in the 50s, but I think it's a different time. And even then, where's a kid going to go if he wants more Batman stuff that's not Brave and the Bold? What if he wants to know what's going on with the "real" Batman, the one he sees in multiple covers in the store, dominating the racks? What're you going to give him? A "real" Batman title? Really? And I know people from my generation will love this. Here's Darkwing Duck! 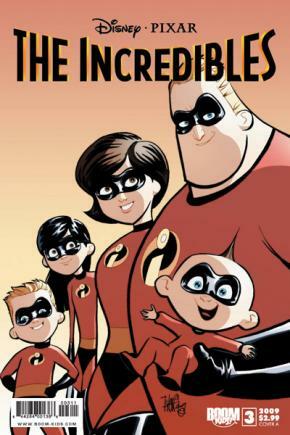 And see, The Incredibles comic is good! It's actually a really fun read! So where does it fail? Simply in the fact that it's not as good as the movie. It's not, and it can't be. The movie was an all-ages flick, while this one seems to be aimed explicitly for kids. And even with that, kids can tell the difference, and they can tell that they're kind of being talked down to. And they won't get it - their parents and older brothers and sisters love the movie; how come only the kids like the comic? Something must be wrong. By far, the best - and only - comic book creator active today that you should turn to for comics for kids is the esteemed Jeff Smith. 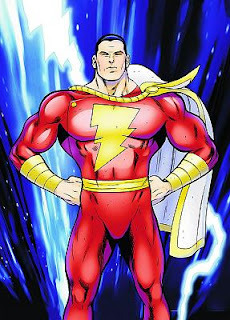 As I've said in my review, his work on Shazam! and the Monster Society of Evil was commendable, and aside from being one of the best ever takes on Captain Marvel, it's a comic that appeals to kids and adults, boys and girls alike. 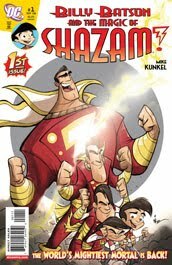 Smith's take on Shazam! was so good that DC Kids! actually put out a spin-off called Billy Batson and the Magic of Shazam, which suffers from the same flaw as The Incredibles. It's good; it's just not as good, and kids can tell. My 5-year-old niece loves Smith's book and reads parts of it every day. She has an issue of the Batson series, and she's read it all of once. 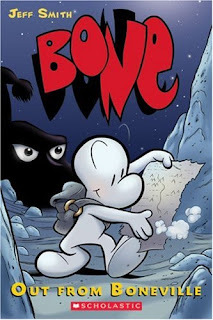 No list of comics for kids could possibly be complete without Bone, Jeff Smith's magnum opus. Telling the story of three Bone creatures who make their way to a valley full of dragons and talking animals and ghosts and locusts and whatnot, Bone is like Lord of the Rings meets Pogo. It's my 11-year-old nephew's favorite comic book. It's so good that he finished the entire one-volume sitting in a week. Incidentally, you can get the one-volume edition for about $27.00 on Amazon. The Marvel Adventures line is actually a pretty good line of comics. 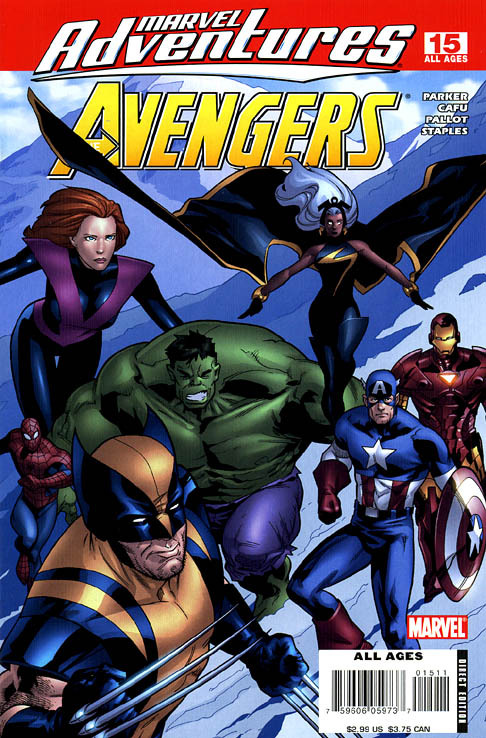 It takes place in a universe separate from regular Marvel continuity and uses recognizable characters to do "done-in-one" issues, meaning that there are no "to be continued"s or anything like that (though there are subplots). What I like best about it is that there's no attempt to talk down to the kids by giving them deliberately kiddie art. It's so fresh and self-contained that it actually feels like reading a comic from the 70s or 80s. It's perfect, I think, for a 7 or 8-year-old kid. But then again, what if they want the "real" versions? See, the problem with comic culture these days is that there are so many of us readers who treat it like some special club. 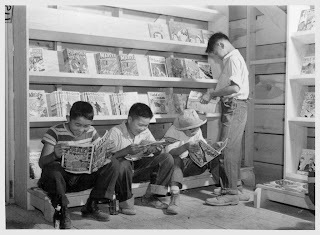 You go into a comic book store, and it feels like a clubhouse. Kids may read Marvel Adventures, but then when they find out that it's not "the real Spider-Man" or "the real Avengers," they'll back away from the book, trying their hands at the in-continuity stuff, which would, of course, be too "mature" (and I use the term loosely) for them. And at the end of the day, that's the problem, I think, not just with giving comics to kids, but giving comics to anyone. We as a community are not new-reader-friendly. We treat it like an exclusive thing, as if the world somehow owes us for reading comics, for having been made fun of because we read comics. We shun those who don't get "geek" references, or we won't make way for the little kid who wants to get in line for the book signing because the organizer at the con told us we were last in line and no one should get in. Instead of reaching out and giving these new readers comics we think they'll enjoy, we end up giving them what we enjoy, and then we condescend to them if they don't get it the way we did. And then we'll complain that the comics coming out today aren't good enough, because somehow, because of our exclusionary behavior, we've somehow deserved to be "treated better" by creators and companies alike. As if we ever did anything for them - we probably hurt their business by turning it into an exclusive thing more than we ever helped it by buying what we liked. We are not entitled. We are not "better" than everyone else because we know that in Amazing Spider-Man 200, Spider-Man, powerless, beat up the burglar who killed his Uncle Ben. 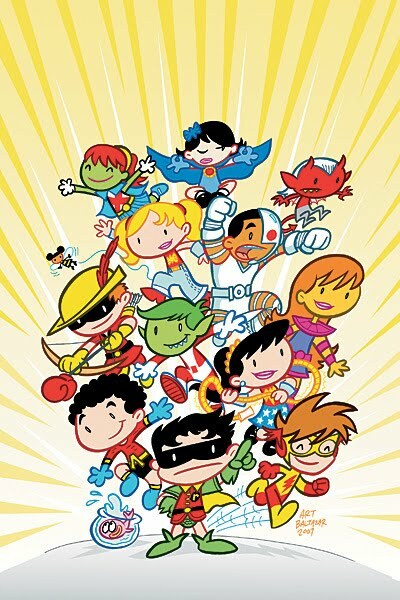 We claim to love comics, and this is why we should do our best to give kids - and others - comics they would love as well, so the comics industry could be healthier, and we can stop dreading for its future. I have kids and I agree. They feel talked down too. I tried getting my 9 year old into the Supergirl comic and she tried it and wasn't interested in it. I think it has a lot to do with the art too. The kids aren't attracted to cartoonie art anymore then adults. 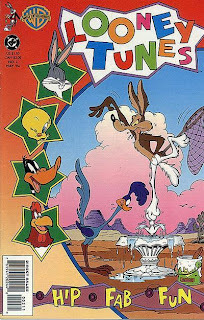 I remember my old comics as a kid and I was attracted as much to that art as I was to the story. AND I wanted a story not just a joke book. Yep. I don't think there's anything wrong with cartoony art; it's good when it's good and it's bad when it's bad, just like with any other kind of art. But there's no reason to talk down to your audience. Not only is there a problem with having no age-interesting product, the distribution issue is another problem for the industry. If you walk into a comic book store, the number of customers under 15 is tiny, at least on the times I visit. And what would draw them in unless they were already hooked? Perhaps electronic comics will be the way that comics get in front of potential new readers? You've given me a few ideas for things to look for, and that gives me some hope of finding a gem or two. It's a shame that kids aren't giving 'Marvel Adventures' a go, because honestly, they're pretty good. They don't, in general, talk down to their audience and having read more than a few, they're pretty much the equivalent of a pre-1986 standard-issue superhero title. Basically, if you're reading Marvel Adventures: Spider-Man, you're pretty much reading, say, Amazing Spider-Man circa 1980-84, or an issue of Marvel Team-Up. They've got rid of all the pseudo-realistic blood and thunder, but they don't tend to be 'written down' at all. Professor: I completely agree, and a part of it is the fact that comic book store culture perpetuates that kind of exclusionary mentality that I talked about at the end there. The key (part of it, anyway) is different distribution methods. Online is one of them. I also think that digests should be more utilized. I see them doing some these days, which is good. For example, I can't really justify buying Billy Batson and the Magic of Shazam! at its current price point of $12.99 (more expensive when it gets here) for 6 issues, but if we can print it in digest format and sell it for, say, $6.99, that'd be good. Kids wouldn't be able to tell the difference. Also, bookstore positioning would help. It's hard - in our bookstore, there's a "graphic novel" section, but all the Bone and Tintin stuff are in the children's section, so unless you knew to look in the children's section, you would just assume they were sold out of the material. And if a kid looked in the children's section first, then it just emphasizes that great divide between kids' comics and "real" comics. Anonymous: Yeah, I've heard good things about the Supergirl comic. What I'm questioning, however, is the marketing strategy behind it. Given the choice, would kids gravitate toward it in a store? I doubt it. Pol: Hey! Good to see you here on the Cube. I wouldn't say the Marvel Adventures titles don't talk down; I think they do to an extent, but it's not as blatant as a lot of the others on the list. Love the done-in-ones, and nice to see someone who loves Captain Marvel as much as I do on here. 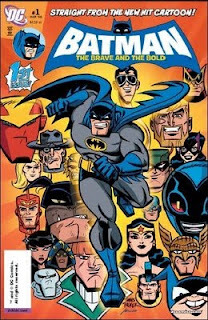 In the interest of full disclosure, I'm the author of both the Supergirl book, several issues of Batman: The Brave and the Bold and the Incredibles - not to mention the all-ages comic series Little Gloomy and the Super Scary Monster Show published by SLG. In regards to Supergirl: You question the choice in marketing, with a suggestion that the title was designed to appeal to kids. The title clearly communicates the specific content of the book. Supergirl, dealing with the complexities of the 8th grade. I selected 8th grade as it (to me) represents on of the most barbaric environments someone from outside our culture can find themselves abruptly trapped within. In short: The style, story and title of the book are not the result of a massive marketing machine. The second question is: Do kids gravitate to it? My experience in that regard has been a resounding "yes". The sales seem sturdy as well and the book continues to get positive reviews over a year after the final issue was released (which is uncommon for an all-ages book). As far as I can tell, the book was both a critical and commercial success. As for the Incredibles, You say that only kids like the comic. I'm uncertain what brings you to that conclusion. It doesn't seem to fit with the majority of reactions I have been exposed to. And while I might agree that the early issues of the series run a bit more light, the series grows increasingly complex and dark as it progresses. It's an ongoing series. Frankly, If we lead with the heavy material, where would we build to? If you watch the first 10 minutes of the film and stop, your assessment of the film might not be so kind either. Though to be fair, I'm operating with direct knowledge of where the series will go from the current issue (10) through to the most recently written issue (19). Greetings, Mr. Walker! Thanks for stopping by. It kinda makes me feel giddy inside, that an honest-to-goodness comic book writer just stopped by! I'm honestly glad that the Supergirl book sold well, and I'm glad it's on the market. After reading some reviews of it, I'd be very glad to buy a copy for my niece when she's old enough to start going to school (and relating). On that end, definitely, I should have done my research, so that's my mistake. Congratulations on that front. As for the Incredibles, I think there's a miscommunication problem going on between the way I wrote it and the way you read it. After rereading my own words, the fault is definitely on my end, as I didn't make it clear enough. So I'll set the record straight here: I didn't mean to say that only kids like the Incredibles comic. I personally like the Incredibles comic. In fact, I like it a lot! I even printed out one of the variant covers and have it hanging on my wall. 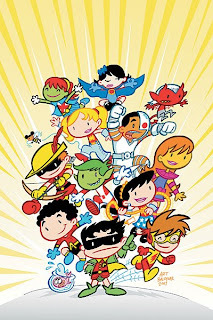 My phrasing of "only kids like the comic" was more a general sweeping statement, not of the Incredibles, but of "comics for kids" - the feeling that if kids are targeted for a particular product, then they're segregated from the rest of the "club." When I said that "their parents and older brothers and sisters love the movie; how come only the kids like the comic? Something must be wrong," I meant that in general - it's a pattern I've noticed. When I say "only kids like the comic," I meant to say that "only kids look for the comic." 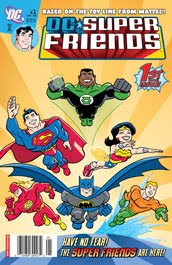 For example, we (my family) like the Justice League Unlimited TV show. We've all seen every episode. 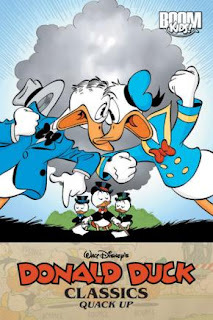 The comics adaptations, shorter and more simplistic in their storytelling, are (presumably) written for a kids' audience. But the small stack of JLU comics we have at home aren't read by my nephew (whom I got them for), nor are they read by my older brother (his dad). They're read by me, the honest-to-goodness comics fan who will read any comic I can get my hands on. When I asked my nephew why he didn't want to read them, all he could say was that it didn't interest him. 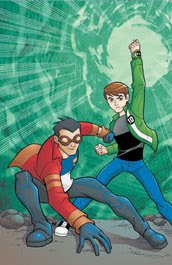 Which baffles my mind, and the only thing I can think of is that the JLU comic isn't the "real" version of these characters, nor are they animated objects that can move in front of him. But when he was a kid and he first saw these comics in the stores, he looked for them. So basically, the pattern (if I haven't made myself clear, which I think I haven't) is this: (1) The kid sees something on TV or in the movies, (2) The kid goes into a comics store or a bookstore and sees a comic related to what he saw and take a passing interest in it, and then (3) Somehow, some way, the kid loses interest in the comic. I honestly don't get it. I honestly think anyone writing these TV/movie tie-in comics have such a commendable uphill struggle, since you're competing with things that move. It's definitely harder to wow an 11-year-old. I hope you don't think I'm insulting your work - I really like the Incredibles comic, and I also really like the Brave and the Bold issues I've read, and I think you do a swell job. I'm sorry if it seemed like I meant otherwise. No worries. Just wanted to clarify. Obviously, there is a disconnect for readers and the comics form. The competition for attention in the marketplace is fierce and there is a general lack of quality to contend with. People (and children in particular) are typically of a "path of least resistance" mentality. Comics were at their peak at a time when it was one of the easiest form of entertainment a person could access. Now it's one of the most difficult, both in terms of literal access and content accessibility. 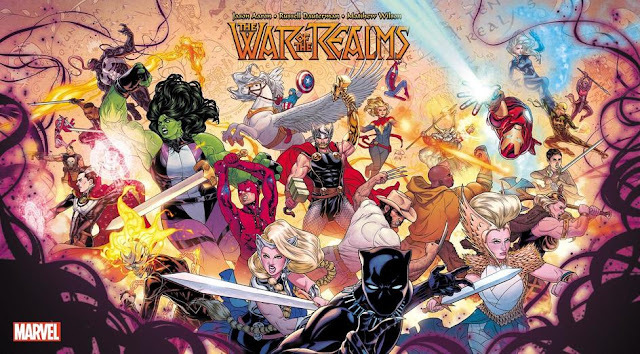 Digital comics may hold a key to reigniting the medium. But for it to have the desired effect, the best approach would be to wipe the slate clean. Drop all existing continuity and bring prices back down to the level of "impulse buy" and up the quality. That's the thing, it's not uncommon for people to point at kids books and question the quality. But the adult books are often no better. Subsequently, I don't think it's a matter of anyone writing "down" to kids so much as it is just poor quality comics overall. Thanks, Mr. Walker. Like I said in my post, I generally think that a big problem is the exclusionary culture of comic book readers. I don't think it's just a thing about accessibility - I bought my nephew some JLU issues, a Legion in the 31st Century issue, the Prince of Persia comic (after he saw the movie), Bone, and Shazam and the Monster Society of Evil, and of all of those, he's only read the last two. 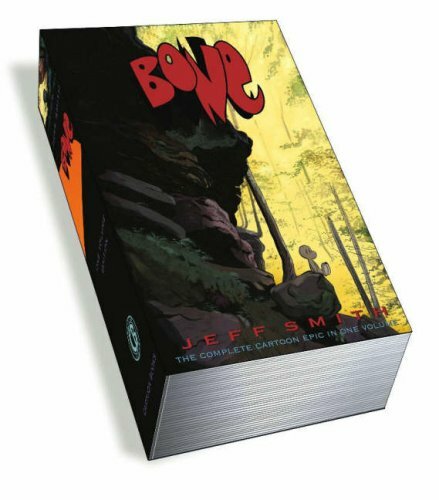 I really think that licensed products have that effect of "Hey, interesting, but I already just saw this, and there were sounds and music and whatnot," while the Jeff Smith books - Bone is his favorite comic ever - stand on their own. 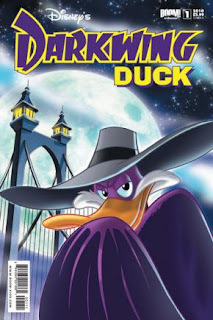 Similarly, something like Marvel Adventures doesn't capture his interest, as he'd rather read something like Infinity Gauntlet or Blackest Night, since it's the big event, it's where the action is, and it's (presumably) what his friends are talking about. 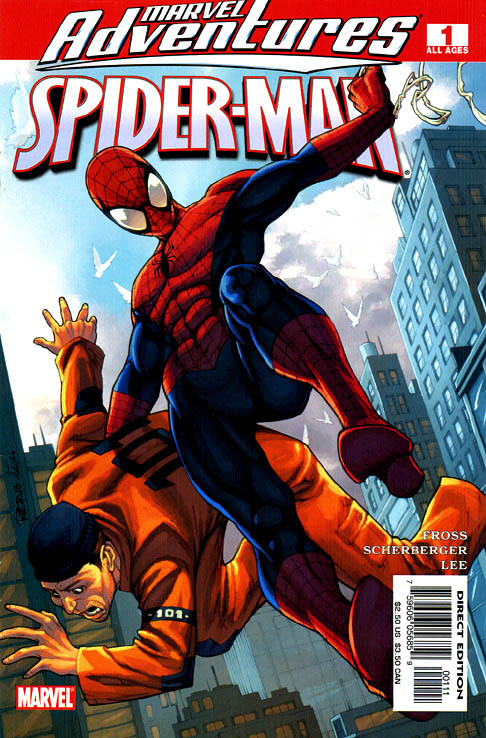 Like I said, I feel like it's "Hey look, it's Marvel Adventures Spider-Man. Yeah, it's pretty good, but it's not really Spider-Man." Statements that we comic fans are notorious for making, such as "That's not really what happened," don't really help the matter at all. I heartily agree about price point - it's one thing that not only keeps new readers from coming in, but also drives out existing ones. However, I don't think a hard reboot of continuity is necessary. Marvel did just fine until the 80s without one, and I think DC would honestly have done fine if they just ignored the confusing aspects of the multiverse. There was nothing confusing about a 1984 issue of Spider-Man, nothing to make you feel like you're missing stuff, and similarly, I think the same thing regarding, say, Roger Stern's Spider-Man issues these days. I think it can be done, but not without a ton of hard work. I'm not sure I would say that Marvel was doing fine in the 80's in comparison to previous decades, but I have no real info to back that theory up. Regardless, Marvel's continuity was sparse back then. The reason you could pick up an issue of 1984's Spider-Man without concern is that, outside of the most remote continuity of something like Secret Wars, there wasn't anything else you needed to know. He was Spider-Man/Peter Parker. 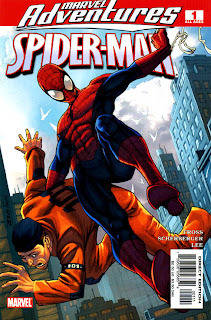 Trouble with girls and Aunt May, wanting to quit but not feeling able and bad guys hate him. How much did you need to know that wasn't included on the first page of the book? To be fair, Marvel might have returned to this level of accessibility. Last I checked in with any zeal was just before Civil War. To clarify, when I say drop all continuity for digital copies, it's not so much due to an assertion that modern continuity is a quagmire, but instead to create a clean slate to help bring in new readers. The entire industry is in the process of rebooting. The distribution method is on the verge of becoming something completely new for comics. It only makes sense to start fresh for a new generation of readers on a new platform. For the record, my comics background included a ten year stint of working in a comics shop, and the general response I witnessed was an interest in the familiar and a disinterest in anything different. With kids, you give them a choice between something they already like on TV and something that's different from the TV version, they would usually gravitate towards the thing they already knew. Obviously, there are exceptions. Bone being one of them. 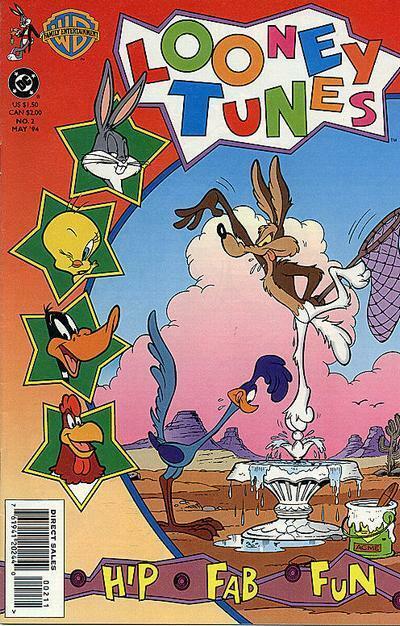 That said, as I recall, the first several issues of Bone floundered on the shelf. As for the absurd tendency to hold in-continuity issues as more "real", we're very much on the same page. It doesn't help anything. That said, the majority of would-be readers rarely hear this. They'd have to engage on some level for that dialog to happen. Oh, in comparison to the previous decades, I doubt Marvel was doing equally well in the 80s, but I think it was doing just fine in the context of the direct market and exposure to kids. Kids loved playing superheroes then - including me. But yes, Marvel's continuity wasn't stringent and tight and that's key to accessibility. This whole mentality of "continuity is more important than storytelling" is ridiculous - especially since, in my eyes, if you read the entire run of, say, Amazing Spider-Man, it all falls apart as one continuous story anyway. I honestly think the Spider-Man books have been very accessible since Brand New Day. My girlfriend read a couple of trades, and she had no problem following what was going on, and for the most part, Spider-Man's been relegated to his tiny little corner of the Marvel U - any involvement in big crossovers doesn't really affect his book. The only people really complaining are the longtime fans who seem to want to complain that he's not married to Mary Jane more than actually give these books a chance. 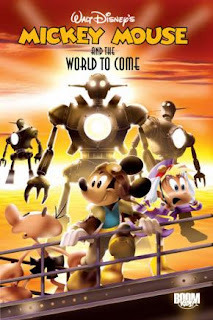 I think they're striving for the same thing now with the "Heroic Age" directional reboot, but time will tell if they can sustain that level of accessibility (I'm betting no, unfortunately). I think DC's trying the same thing by putting JMS on Superman and Wonder Woman. Unfortunately, I think the damage is done, and it'll take more than this to get new readers. Our personal experiences are different - I never worked in a comic shop, but I've spent a good portion of my life trying to get comics to people who don't read them (that'll be my legacy when I die). Your statement is true that people go for what's familiar, but the sustainability is what's questionable. When the Spider-Man movie came out, I lent some Spider-Man books to friends, and they were all pretty underwhelmed, and they ended up liking and reading Top Ten instead. I feel like the thing with licensed products is that they end up interested, but because they're actually looking for a carbon copy of what they saw on the screen, it doesn't sustain interest. And as for the absurd tendency to hold in-continuity issues as more "real," the majority of actual readers rarely hear it either. There's a lot of criticism about Neal Adams' Batman: Odyssey, all centering around how it doesn't fit into continuity, or the (current) characterization of Batman.